Whilst many of the water-borne activities revolve around racing, many members with boats of their own simply enjoy the cruising side of boating. The Club has an active and growing cruising section which organises short trips to local ports as well as more extended events, including cross-channel weekends. In recent years, the Alderney weekend Rally on the early May Bank Holiday has proved very popular, despite the mixed weather that can be expected at that time of year! 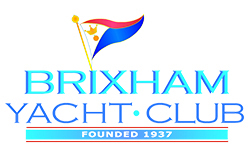 Many of the vessels that take part are also associated with the Brixham Bay Hoppers, which is the cruising group promoted by the Brixham MDL Marina. Organised events are found on the calendar.